LATEST UPDATE: Sibel has named all names. A while back, Sibel said that she would spill all beans to a major news organization, and damn the consequences. Today, London's Sunday Times has published at least some of what she has to say. The moles were not just protected -- they were aided by high-ranking U.S. personnel. They were helped, she says, by the high-ranking State Department official who provided some of their moles – mainly PhD students – with security clearance to work in sensitive nuclear research facilities. Wrap your minds around that: Betraying your country for a mere $15,000. Intelligence analysts say that members of the ISI were close to Al-Qaeda before and after 9/11. Ahmad -- or Ahmed, the transliteration more often seen -- has been persuasively accused of funneling $100,000 to Mohammed Atta. Although he no longer controls the Pakistani equivalent of the CIA, Ahmed has been called the major player in Pakistan's enormous drug trade. More than any other Pakistani, Ahmed was responsible for the creation of the Taliban. There are those who say that he arranged the escape of Osama Bin Laden and comrades into his country; others say that Ahmed is the real leader of Al Qaeda. Benazir Bhutto blamed Ahmed for the first assassination attempt against her. We may never know if he engineered the attack that succeeded. How the hell could Ahmed get away with all of this? This man's name should be as notorious as Osama Bin Laden's -- yet few Americans have heard of him. Why? The FBI's behavior cannot be excused as mere sloppiness. Some of the most intriguing material appears at the beginning of the Times piece. The reference almost certainly goes to Louai al-Sakka, whom we have dealt with before. As we detailed in our earlier post, Sakka (or Sakra) was almost certainly giving information to Western intelligence in 2001, at which point he was in Germany. Later, in 2005, while he languished in a Turkish prison, he was visited by a group of Americans who promised him freedom if he testified falsely against Syria -- or so he has claimed. The strange pattern keeps repeating itself: The terrorists have ties to factions within the American security apparat. Who can the mystery man be? I'm thinking either Armitage -- who is second-in-command at State -- or Marc Grossman, who was United States Under Secretary of State for Political Affairs from 2001. Grossman also played a still-nebulous role in Plame-gate. Not only that: He met with General Ahmed on or around September 11, 2001! 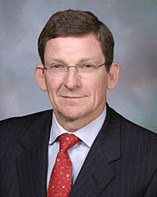 Furthermore, the language specialist has repeatedly stated in past interviews that investigations into pre-9/11 terrorist financing activities were blocked “per State Department request”, leaving open the question whether it was Mr. Grossman, then Undersecretary of State for European Affairs, who actively hindered investigations into the Turkey-Bin Laden link. Yes, I know that this has been a long, dense post. But the story is pretty simple, really, when boiled down to its essence. Terrorists had a lot of drug money. They used that money to buy officials in the U.S., who allowed moles to enter our most sensitive installations. The overall objective? Remember, this all comes down to giving the Bomb to our enemies. The ramifications of that scenario are almost too terrible to contemplate. That's the guts of it. After the jump, I'll quote some older stories which may help shed light on the above. Hit PERMALINK below. Sakka and the spooks: I'm still not sure why news reports about this man triggered Edmonds to go into action. But the following may be of interest. According to the Turkish newspaper Zaman, 2000 was the year when the Americans "turned" Sakka, who received an unspecified (but large) amount of money from the CIA. More than that: He received protection during his time in Turkey -- while he ran those Al Qaeda training camps. Then came his mysterious sojourn in Germany in 2000-2001. During this period, he appears to have met Atta -- and then he went "underground. Germany's BND -- their version of the CIA -- aided Sakka while he was on the run. This, despite the fact that Sakka was considered a wanted man in Germany, due to his role in earlier terror plots. We cannot know what Sakka was up to in Syria, but one thing seems clear: Western intelligence placed greater value on his services than on bringing a 9/11 plotter to justice. His protection continued in the face of the 1999 plots, the 9/11 tragedy, and the 2003 bombings. It ended only when he decided to go after Israeli ships. 1. He wired money to Mohammed Atta shortly before the World Trade Center attacks. 2. He employed R.G. Abbas, a Pakistani agent who -- while pointing toward the WTC complex -- told an undercover FBI informant that "those towers are coming down." 3. He arranged the Taliban takeover of Afghanistan. 4. He sent fighters against India to be trained in Al Qaeda camps -- essentially using Osama Bin Laden's jihadist movement as a cut-out. 5. He helped arrange the escape of thousands of Al Qaeda and Taliban fighters into Pakistan. 6. He is said to have have arranged -- or so runs a widely-held belief -- the fake arrest of WTC attack mastermind Khaled Sheihk Mohammed. Joe Wilson met his wife, Plame, at ATC (American Turkish Council) in 1997. Look up his book, it is there. Brewster Jennings, Plame, dealt with ATC, ATA, and Turkey a lot. Her UC job took him* to Turkey more than 4-5 times to Turkey between 1997 & 2001. This info has been printed on the front-page of main Turkish papers. IAI, International Advisors Inc, owned & operated by Perle & Feith, was set up & registered as 'Agents for Turkey.'" The letter noted that Under Secretary Feith was a registered foreign agent for Turkey from 1989-1994 while serving as a principal for International Advisors Inc., and that he was a special assistant to Richard Perle at the Defense Department, while Perle was a paid consultant for IAI for Turkey. Feith negotiated an $800,000 contract for IAI with Turkey in 1989 and a $600,000 annual contract through 1994. They proposed that this should require Mr. Feith and Mr. Perle to remove themselves from matters concerning US-Turkey relations. The letter also urges the President not to give Turkey any of the $228 million authorized by Congress for Turkey at the initiative of the Defense Department, until an investigation is made into the circumstances of its initiation. "When Richard Perle was the Assistant Secretary of Defense for International Security from 1981-1987 during the Reagan Administration, he led the successful effort to give massive grant military aid to Turkey," they wrote, adding that Feith was on his staff at the time. "Wolfowitz and Grossman actively supported sending high levels of arms to Turkey. Weapons supplied by the US were used by the Turkish army against the Kurds since 1984 and are being used at the present time." The World Policy Institute and the Federation of American Scientists have documented the US arms trade with Turkey and its harmful effects on US interests in a comprehensive joint report, "Arming Repression: US Arms Sales to Turkey During the Clinton Administration."" While Mahmood undoubtedly is a "most taboo suspect" re: 9/11 financing and the Pak military role in cultivating Taliban/al-Qaeda elements in Afghanistan, Kashmir, Iran, etc. there are many other top ISI/Army officers -- including Musharraf himself -- playing similar roles. Despite his cultivated image as a "pro-Western, anti-extremist" leader, Musharraf initiated the provocative "Kargil" fiasco that nearly led to nuclear war between India and Pakistan in the 1990s. A protege of former ISI director Hamid Gul, Musharraf himself (like Gul, Mahmood Ahmad) has always sought to destabilize Afghanistan as a wedge against India (the so-called policy of "strategic depth"). It was Musharraf who facilitated the rise of various Kashmiri jihadi groups (Lashkar-e-Taiba [LeT], Jaish-e-Mohammed [JeM]) -- al-Qaeda associates still in existence! Additionally, Musharraf was instrumental in continuing General Zia and Gul's nuclear proliferation policies as Pak military cash cow (known and covered-up by successive US administration's from Carter to Bush II). In my opinion, it is a mistake to view these events, up to and including Bhutto's assassination, as the actions of "rogue" elements within the Pakistani military establishment. Indeed, these elements are the establishment, Musharraf included. Having said this, we should also not forget that Pakistan's ISI continues to be instrumental in the explosive growth of Afghanistan's drug trade. These too, are hardly the actions of "rogue" operatives, but rather constitute a formidable reservoir of funds for various ISI "black operations." Just like the CIA! My final question is: What is the role of Israel in all of this? Remember, the moles were Israeli as well as Turkish and Pakistani. Good work, happy to link from Screw Loose Change. I find the $100,000 wire transfer story a little weak (it makes no sense for Ahmed to be wiring money to Atta in the last few days before the attacks), but I appreciate a non-"Truther" take on the story. Isn't it kind of surprising and odd that The Times, of all papers, would be the first to publish her story? Isn't it a Murdoch paper? I would expect them to be hiding the beans, not spilling them- which makes me all the more curious about what was left out. Addendum: I guess I ought to read your column before I post to it. Sorry about that. Reply still hoped for, but a good portion redundant. Maybe the $100,000 was wired to Atta in those last few days because he was coordinating other cells in the U.S. and they knew he wouldn't be around much longer to dish out money. And if Atta was the only one who knew about these hypothesized terror cells, it's a big plus that the knowledge goes down with him. Does anybody know where the money went? And are British libel laws so strict that they cannot even print, "Marc Grossman denies these scurrilous charges."? It is no secret that Israel is close with Turkey, in fact, strategically aligned, and therefore it's not much of a surprise to find them helping and/or using a variety of Turkish operations for their own purposes. It's harder to see them connected in any way with Pakistan, allied as they are with Pakistan's foe India, mutually against the country holding the sole Moslem atomic weaponry. 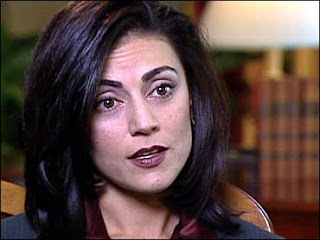 However, from early on, Sibel Edmonds and other sources had alleged that these same drug money related sources had supplied critical monies to help fix the 2000 elections, including bribing various Democratic election officials in the key state of Florida. It is interesting to note that the infamous 'butterfly ballot,' actually violative of Florida's law of how they ballot must be configured and partially responsible for the 'Buchanan boomlet' among the Jewish voters there (? ), was the creation of Palm Beach County's 'Democratic Party' supervisor of elections, one Theresa LaPore. Coming from a lifelong Republican family, Jake Tapper in his book, “Down & Dirty: The Plot to Steal the Presidency,” noted that LaPore originally was a registered Republican, then in 1979 re-registered as an independent. “When a third party formally registered as ‘Independent,’ she changed her registration to ‘no party,’” Tapper said. When then county Supervisor of Elections Jackie Winchester told LaPore in the fall of 1995 that she was retiring, LaPore “registered as a Democrat and ran” for the office, according to Tapper. The day before Florida 'reformed' its election law in the aftermath of the 2000 debacle, LaPore dropped her Democratic Party registration to register back to 'independent.' LaPore has been connected to Adnan Khashogi, the international arms dealer. In the recount period, Palm Beach County election officials decided to take time off the recounting for the Thanksgiving holiday, contributing to their failure to get the vote in by the artificial SUNDAY deadline called by Sec. State Katherine Harris. A number of Democratic Party registered judges made arguably incorrect decisions uniformly harmful to the Gore recount chances. The Likudist Israeli leadership together with their neo-con affiliates in this country had much riding on the success of the Bush campaign that year. Over time, Israel has proven herself most pragmatic when money or strategic interest was involved, willing to support and sometimes even arm such implacable Israeli foes as the Ayotallah Khomeni-led Iran and Hamas. So Israel may have been willing to deal even with Pakistani forces, for the right payoff to Israel in terms of purloined nuclear materials or secrets, sharing of international drug trafficking monies or use of them for election purchasing purposes, and etc. I've said it before and I will say it again. LaPore isn't the only one that should be closely scrutinized in the Palm Beach recount. Who was on the ground there defending Bush interests and where is he today? And why on earth was John Bolton there as well? "However, from early on, Sibel Edmonds and other sources had alleged that these same drug money related sources had supplied critical monies to help fix the 2000 elections, including bribing various Democratic election officials in the key state of Florida." I am unaware of her making any such claims. Do you have source link for this? If not, smells like disinfo to me. I don't recall Sibel saying much about the 2000 election, but others have certainly implied that bribery was was at work in Florida. Hasn't Kevin Phillips said that he thinks the CIA, or at least, elements of it, was involved? Then there's the issue of Abramoff, his interests in Florida gaming operations, and his connection to Greenberg Traurig. All of it is very strange. Perhaps the real problem is that drugs are never far away from anything that goes on in Miami-Dade and its environs. "The strange pattern keeps repeating itself: The terrorists have ties to factions within the American security apparat." One needn't be a 9/11 wing-nut to observe this pattern. In fact, it is precisely such patterns that the so-called "Truth Movement" furiously strives to cover-up with idiotic claims of "controlled demolitions," "holograms instead of planes" and the like! Reference Daniel Hopsicker's shock and disgust on discovering that Saudi billionaire Adnan Khashoggi via his cut-out John Gray (of Men Are from Mars, Women Are from Venus" fame) bankrolled several so-called 9/11 "Truth" conferences. Be that as it may, as I pointed out in earlier comments, the international drug trade has long been used as a conduit for illegal intelligence operations; in this the CIA may have set the pattern but they are not alone in this regard. In Turkey, for example, the MIT-National Security Council-armed and set-loose drug-dealing gangs such as the Grey Wolves (a far-right militia linked to that country's pro-Nazi National Action Party) in the 1960s thru today for waging "dirty war" against the Turkish left. Thousands were murdered. But that's not all. The MIT also ultilized Islamist gangs as cut-outs against Kurdish separatists and Turkish leftists. These gangsters were directly implicated in the 2003 bombings in Istanbul that claimed dozens of lives. These are the very networks that 9/11 trainer Saaka was plugged into. What connected them - "secular" fascists and "Islamic" mujaheddin? Simply put, the Turkish military - as with their counterparts in Italy, Greece, Belgium, et. al. were components of a NATO-inspired "Global Gladio" network waging anticommunist warfare and black ops across Europe and Asia. Indeed, al-Qaeda, the "Afghan-Arab" database of Islamist terrorists was a continuation of tried and true methods of political/economic subversion. Even after the 1998 East African US embassy bombings, the Pentagon continued to use al-Qaeda-linked assets as NATO waged war across the Balkans, first in Bosnia and later in Kosovo. Remember the drug-dealing KLA? But long before the rise of Islamic fundamentalism and the al-Qaeda bogeyman, Turkey's Gladio network operated with the encouragement and protection of the Counter-Guerrilla Organization, a distinct section of the Turkish Army's Special Warfare Department. With headquarters in the U.S. Military Aid Mission building in Ankara, the Special Warfare Department received funds and training from U.S. advisors to create "stay behind" units. The theory was in the event of an invasion by the Soviet Red Army, "stay behind" squads would form a defensive rear-guard and engage in acts of sabotage against the invaders. Never mind that the Soviets had no intention whatsoever of invading Turkey and sparking World War III! According to researchers Edward S. Herman and Frank Brodhead, the training of officers assigned to the Psychological Warfare Group attached to the Special Warfare Department "begins in the U.S. and then continues inside Turkey under the direction of CIA officers and military 'advisers'." Training at the U.S. Army's School of the Americas in Panama and later, Ft. Benning, GA, Turkish Gladio recruits were instructed by CIA and Army officers in "open" as well as "covert" activities such as "murder, bombing, armed robbery, torture, kidnapping," and encouraged to provoke "incidents which invite retaliation; take hostages; use sabotage and propaganda; disseminate disinformation (and) use force as well as blackmail." Among the prime Gladio apprentices in the counterguerrilla network were activists recruited from the neo-Nazi, pan-Turkic National Action Party (MHP) and its paramilitary youth wing, the Grey Wolves. Undoubtedly, this constitutes a part of the network that Sibel Edmonds is attempting to dismantle with her revealations in today's Sunday Times. The same can said for the Pakistani military-security state. Whether or not Mahmood Ahmad controls the drug trade and/or al-Qaeda (I have my doubts) is almost irrelevant. Ahmad and other Islamist generals such as Hamid Gul and the network connected to AQ Khan have always enjoyed the support of the US national security state. See Robert Dreyfus and Richard Labeviere for details of the US's decades-long "tilt" towards the Islamist far-right. The bigger picture is that the drug trade - in Pakistan as in the US - has become an instrument of achieving state goals "by other means." SIbel has never said anything about fixing elections in FLorida or elsewhere. She has said that some of this money finds its way into campaign coffers. That is all. The Israelis' role? Dancing. Yes, dancing and driving white vans. Hey, somebody has to do it, right? Joe, This material is why I chose to try to run against Porter Goss (R FL 14) when he chose to run again after 9/11 having announced his retirement prior to 9/11. He and the others at the 9/11 morning breakast at the US Capitol bldg have nerver denied that they were with Gen Ahmed at the time of the Pentagon was hit, all after Ahmed had just sent money to Atta. Goss has been runnnig interference for the intelligence community's involvement with 9/11. Mushariff's book makes clear that he owed his take over of Pakistan to Ahmed. He never says why he fired him 10 days after we started the Aphgan attack. As a former US Attorney,I wish I was still able to get to the bottom of this officially. Sibel has just now NAMED ALL THE NAMES. Wow, incredible reporting here. Great work! I may have mistakenly conflated other reports to that effect with Ms. Edmonds'. Perhaps the late paranoiac Sherman Skolnick and others. I hate when/if I do that. By the way, Ahmed was not proven so far as I know to have done anything to fund Atta. The story on record is that a call authorizing another person to wire funds to Atta was made from a cell phone number known to be Ahmed's. Was he the one making that call? Is it possible to phreak or hack a phone to show another phone's id? The latter possibility/known fact makes identifying Ahmed as certainly the caller subject to doubt. Sola, You forgot to include the possibility the Ahmed's phone might have been hacked by aliens from Roswell. Remember Mushariff fired Ahmed, to whom Mushariff, as he said in Mushariff's recent book, he owed his take over of Pakistan to Ahmed, who took over the Pakistani government while Mushariff was trapped overhead in his plane without permission to land in Pakistan. If Ahmed wasn't guilty, why did Mushariff can this man to whom he owed his very power? The false flag modus operandi is the Israeli intel specialty, as per their motto above. It has been attested to by Victor Ostroevsky, a former operative for them, who details several such major operations in his several books. Ari Ben Menasche says the same thing, with the same former operative background as VO, in his book. When one wants to commit a heinous deed and get away with it, it is helpful to have a ready-made alternate alleged perpetrator framed up for the act. Typically, if in an assassination, that party is killed at the scene or when apprehended, case closed and no messy trials to bring out inconvenient facts. If the party cannot be so easily removed from the scene and therefore would normally be able to protest his innocence, it's helpful if he is so otherwise compromised that the defense would open up too many other hidden truths, and therefore cannot or will not be allowed to be mounted. This is similar to the case of Oswald, whose prior evident participation in the Office of Naval Intelligence's false defector program, and CIA/FBI work, meant that everybody had a strong motivation to sweep the matter under the rug using the cover story without demurrals. Because any in-depth scrutiny would reveal those secrets, we continue to have national security holds on releasing LHO's files and information, some 45 years later. The same calculus may be involved in the case of Ahmed. There's a reasonable argument that the Israelis had all the means, motive and opportunity to do what I suggest, as well as it fitting their M.O. There's a number of areas here that I may be able to help. I was in a family for more than 26 years who joined Sibel Edmonds list of people involved in Treasonous activities. However "the Family's" activities when they started in the late 70's were focused with laundering money for Drugs and Gun Running through their Property Development business here in the Chicago area. After some time and a murder here and there, they started to admit to other family members what they were involved in. Then through the 90's they explained more in detail of what and who is involved. I don't want to take anyone away from the good reporting work they're doing and to even explain more of this will be very lengthly. Please keep in mind that what we're focusing on here is part of a very huge story that is very complex and heavily convoluted. It was mentioned above: "Clinton has nothing to do with these groups. You might consider, however, Henry Kissinger and Nixon." -- Please accept that the Clintons, Kissinger and Nixon ARE INVOLVED! I know this from the family. I'll write tomorrow with more information that should start to expand on who else is involved. Again, I'm concerned about throwing everyone off track with their focus so please accept this as information that broadens your knowledge of how huge this is. "Perhaps the real problem is that drugs are never far away from anything that goes on in Miami-Dade and its environs. -- Midful is on the right track with drugs as the huge shipments recently in the news ARE PART OF THEIR END GOAL SCHEME. However, the drug issue when you start looking at the plane shipments mentioned in the news are only PART of HOW HUGE the drug scheme really is. Chicago alone gets a weekly $100 Million dollar shipment that is split up between New York and Florida, per the family in the mid 90's. That accumilates to more than a $5Billion a year business AND FOR GOOD REASON. Then realize there are OTHER HUGE shipments going elsewhere within the US. But their overall plan extends beyond our shores and really is a world wide Drug distrubution system. It's a difficult business fragmented in many areas so being a world wide system is questionable at times but from the family, that is one of this groups focuses. My Internet time is limited to only a few hours a day. I'll try to write more tomorrow. Should it be 'thanks Murdoch for running the story', or 'hello psy-ops mindf*ck'? Moles from Turkey, Pakistan, and Israel? Right. Spot which one already has a rather powerful influence in the US, and is the world's second or third military power. In whose interests would it be if Pakistan were widely exposed as carrying out nuclear espionage, or if a nuke attack somewhere were (supposedly or really) carried out by them? What would happen then? An Israeli company already runs a lot of the security at US nuke bases (both electrical power and weapons). They're called 'Magal'. They're the 'world leader in perimeter security'. Compare their role to, say, Amdocs, the 'world leader in telephone billing'. And I haven't got on to Google yet. We're 25-30 years down the line from Promis.